I have been delving more into ASP.NET Core lately and I wanted to see how different things were from the .NET 4.6 version, so I decided to see what it would be like to code a very simple Web API using ASP.NET Core and Entity Framework 7. Bear in mind that I decided to base the UI off of a sample article created by Sandeep Panda on SitePoint, mainly because I thought it was an effectively simple and intuitive UI. 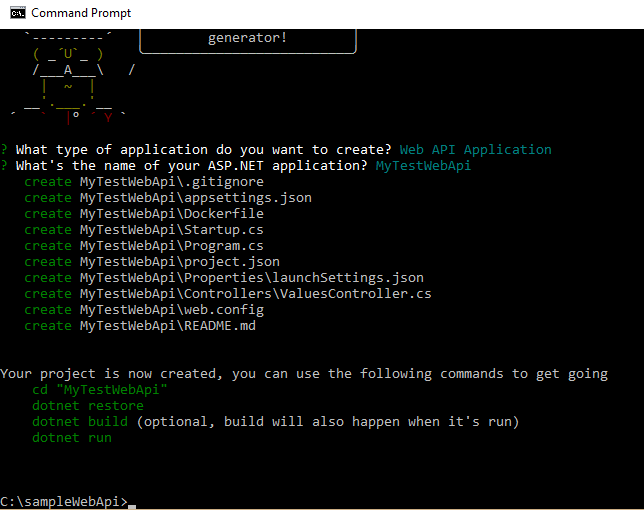 I also wanted to use the most minimal way that something would work so I could try out the ASP.NET Web API from end to end. So if you want to read up more about how the UI is setup just head over to that article and follow the link to the source code posted on Sandeep’s GitHub profile, it’s all there for you to do a deep dive if you so desire. So all props to Sandeep and SitePoint on the front end UI piece. One more thing that I should mention is that I did add a significant change from the original AngularJS code in the fact that I decided to use the AngularJS $http provider instead of the $resource one like the article explains. The reason for that is that I found the use of $resource very limiting in terms of how the Web API needed to be setup. In order to use the $resource you have to add an id to all the requests to the Web API, this is because the $resource object instance abstracts the code needed for API calls quite a bit more than the $http provider, which is perfectly fine if you stick to that required format, however I opted for sending the actual request object during API calls such as PUT and POST without an id, therefore using the $resource approach would not have worked well for me. This is however simply an implementation detail and you can decide what approach fits best for your application needs. So if you want to use the $resource approach then go for it, just be aware of the trade-offs needed for essentially using a higher level of abstraction. This essentially requires writing more code than the $resource object would need, but it is a bit more flexible in my opinion. 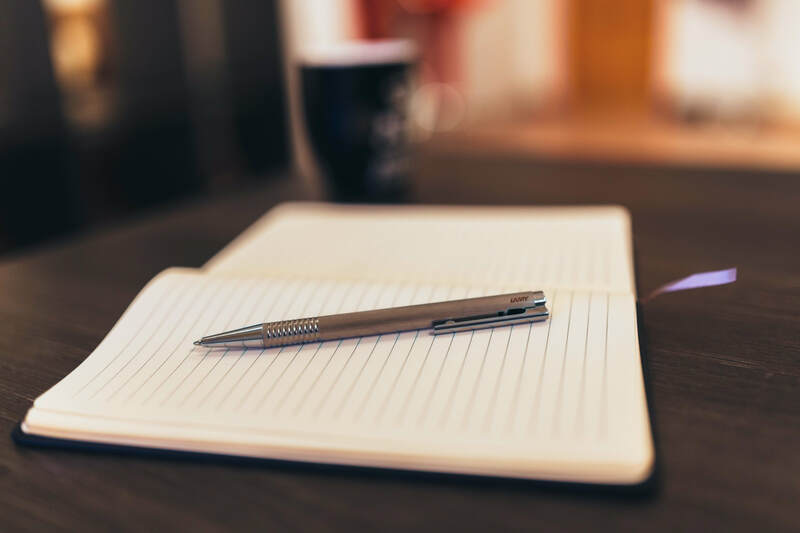 In any case, you are free to implement the abstraction that makes more sense for your needs. Let’s move on to the Web API implementation. You can then navigate to that folder using File Explorer (Windows) and open the application using something like Visual Studio Code or Visual Studio 2015 Community. However, for this exercise I recommend using Visual Studio 2015 to run the Web API, simply because you might want to debug the application which by default runs using IIS Express in Visual Studio. Keep in mind that you can do all of this using Visual Studio Code and you can run the basic Kestrel server from the command line, nevertheless, I still find that for things like Web API and such Visual Studio offers a more pleasant debugging experience. But this is a personal preference rather than strict guidance, so use the tool that best works for you. The data will be contained in the database while the application is running. I like this because it is an easy and simple way to get things going while creating a model and debugging a Web API without the added overhead of an actual database during the prototype phase of an application. The endpoints on the Movies Controller (GET, POST, PUT, DELETE) have a respective factory method call in the moviebus AngularJS data access factory component, simply look for the http verb in moviebus and match it to corresponding endpoint in the Movies Controller. **Important: **Using this type of lose CORS configuration will make it so that your Web API accepts all origins, http verbs and http headers. This will most likely NOT be what you want to do in Production, since it opens up possible security holes to your application if you use these settings out in the wild. So be careful, you have been warned. 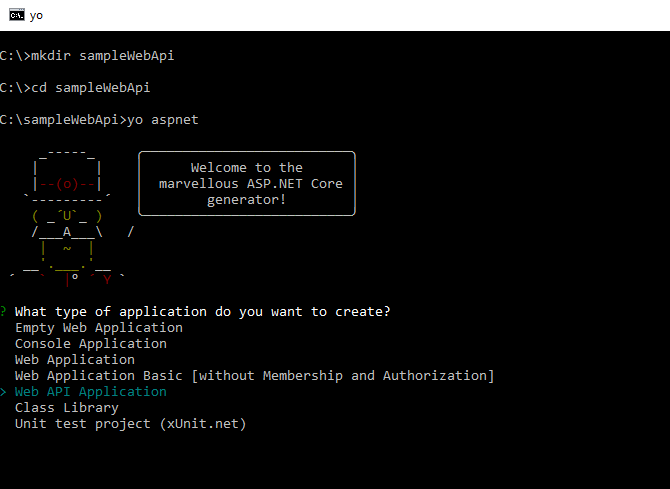 Now you are ready to run your AngularJS application and connect it to an ASP.NET Core Web API with an EF7 in memory data store! A number of things have changed in ASP.NET Core when it comes to writing Web APIs. Given that the framework is a complete rewrite then such a thing is of course expected. The consolidation of the Controller base class looks like a nice change, and the fact that EF7 offers an In-Memory provider for testing/prototyping makes things very simple to setup. 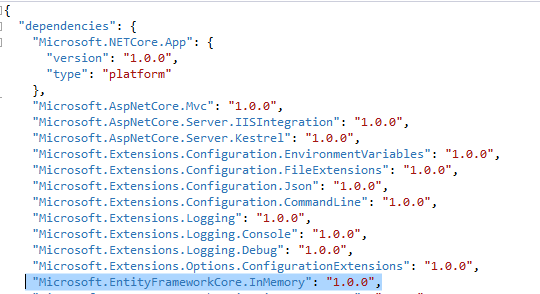 Note that this release of ASP.NET Core is a 1.0 release, so many things that you and I expect out of the box may not be there, but so far I am liking the changes. I hope this short preview of ASP.NET Core Web API was useful to you. I will continue to dig deeper into .NET Core and its related frameworks in the coming months and share my findings. Until next time, happy coding.